To mark his second season as Chef Assistant of the Orchestre National de France Jesko Sirvend will conduct his first subscription concert in Paris in November 2018. The concert will be held in memoriam of Leonard Bernstein, who has been a guest conductor of the ONF for many years. Also, Jesko will continue conducting the ONF’s flagship education and outreach project ‘Viva l’Orchestra’, already for the third season. The 2018/19 season will also see Jesko Sirvend’s Austrian debut with the Tonkünstler Orchester Niederösterreich, and is his sixth season as Associate Conductor of the Dusseldorf Symphony Orchestra: As Artistic Director and moderator of the award winning #IGNITION series (European Trend Label 2015), he continues to be in charge of Germany’s most successful concert series for young people. The current season will also mark his final season as Artistic Director of the Akademische Philharmonie Heidelberg after ten very successful years. As Guest Conductor, Jesko Sirvend has worked with the Bern Symphony Orchestra, the Deutsche Radiophilharmonie Saarbrücken-Kaiserslautern, the Zagreb Philharmonic Orchestra and the Szczecin Philharmonic Symphony Orchestra among others. In September 2016, he conducted his debut with the Orchestre National de France on invitation by Emmanuel Krivine, which resulted in several re-invitations in the current season and Jesko Sirvend was offered the position as Chef Assistant of the ONF. Concerts with the ONF at the Theatre Antique d’Orange and the Festival Palazzetto Bru Zane Paris have been broadcasted on France Musique and ARTE Concert. 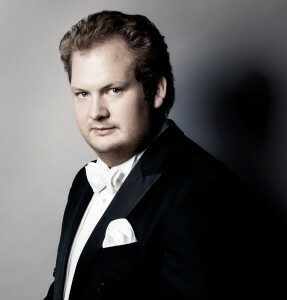 In 2015 Jesko Sirvend won the third prize and the audience prize of the renowned Nicolai-Malko- Competition for Young Conductors in Copenhagen under the presidency of Sakari Oramo. Through winning these two prizes, he was able to beat the fifth prize, which he won in 2012, then under the presidency of Lorin Maazel. Jesko Sirvend studied with Prof. Michael Luig at the Cologne University of Music and Dance. He has attended master classes with Jorma Panula and Colin Metters (Royal Academy of Music London) among others. Prior to attending Prof. Luig’s class in Cologne, Jesko studied percussion and piano at Dr. Hoch’s Konservatorium in Frankfurt am Main.